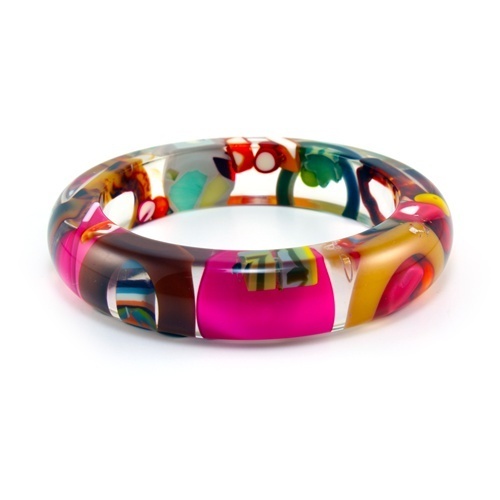 Contemporary jewelry designs incorporate unique materials, and fantastic colors and dimension. With the dawn of the 1950s, the world was entering a new era focused on much more rapidly changing fashion and trends, and a manufacturing sector that could keep up with the heightened demands of society. People wanted to put the horrors of the recent two world wars behind them, and jewelry emerged as a prime way of expressing that sentiment. As this time period is so recent, only two distinct eras have been highlighted. 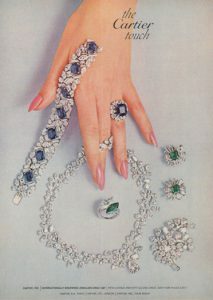 In a Mid-Century Cartier ad, sets with large gemstones are highlighted. 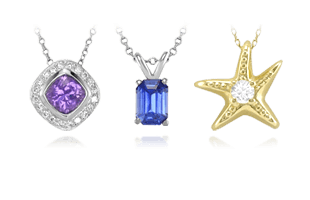 Emerging at the time that Retro looks were going out of style, Mid-Century style and design quickly swept the cultural landscape and made a big mark on jewelry. Following the Second World War, people were seeking drastic breaks with the past and approached new and fresh jewelry designs with open arms. American prosperity in the post-war years sparked renewed interest in expensive materials and craftsmen were encouraged to be creative. 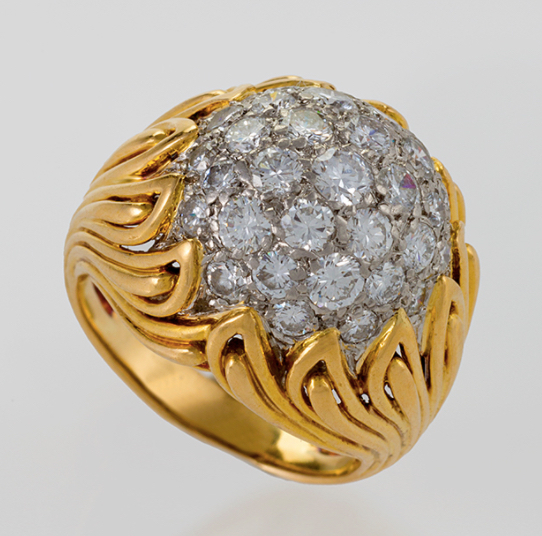 A gold and diamond ring with a modernist flame motif by Van Cleef Arpels, c. 1960s. 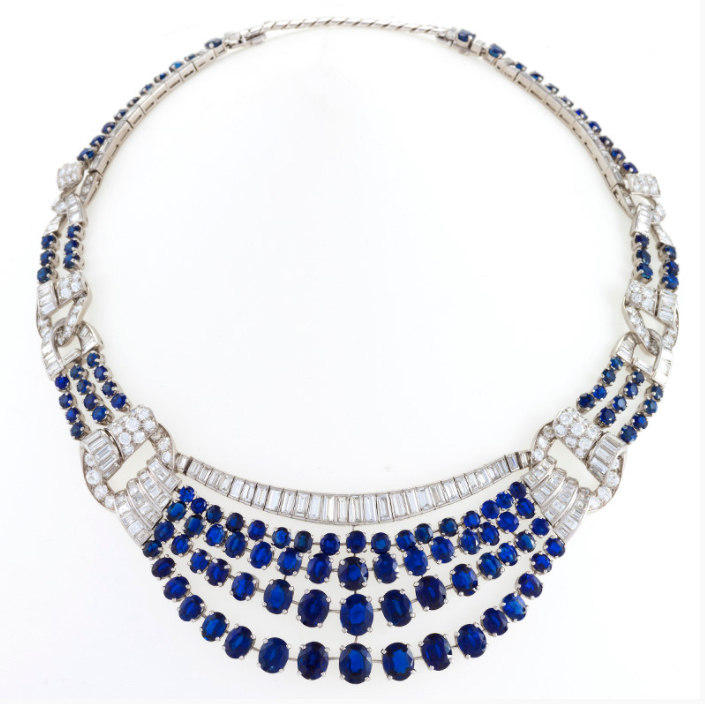 The greater ease of international travel, coupled with the prevailing view that the French were at the forefront of fashion and jewelry design, meant that American and European women were turning to France for inspiring new pieces. 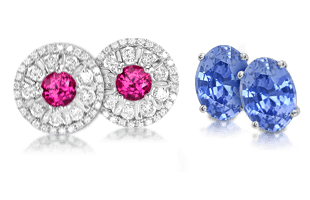 European jewelers like Cartier, Boucheron, and Van Cleef & Arpels once again were seen as leaders in quality and design and their showrooms were always busy. 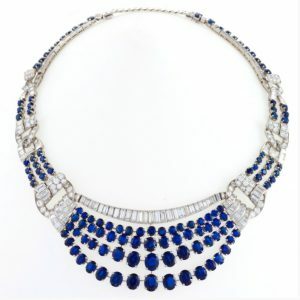 A Mid-Century platinum, diamond, and sapphire necklace focusing on the movement and lightness of the stones. The 1950s saw the prevalence of abstract design that heavily referenced science and space. Textured gold was a mainstay in pieces created especially to be worn during the day. Jewelry with diamonds and other gemstones was reserved for evening wear. 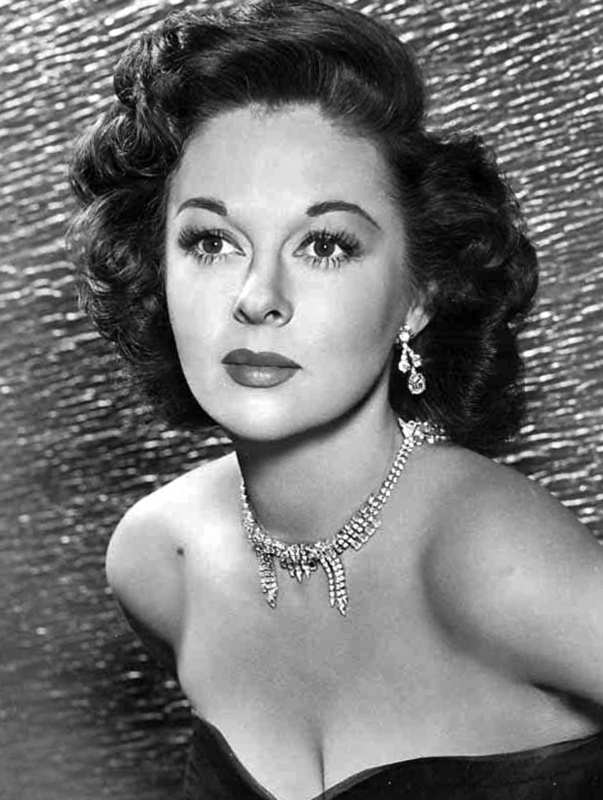 Cultured pearls, especially as a single-strand princess necklace , emerged as a staple material in every woman’s wardrobe. Screen actress Susan Hayward epitomizing jewelry standards of the Mid-Century era. Organic, geometric shapes with harsh edges became very popular along with the depiction of animal forms. Birds, fish, panthers, elephants, snakes–all were sought after and the artistic representations of them were endlessly unique and thoroughly encrusted with jewels. 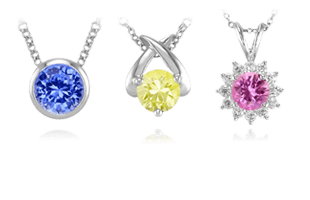 Color was seen as very important, and gemstones were sought more for their color as opposed to their value. 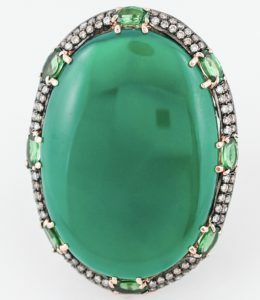 A Mid-Century green agate cabochon cocktail ring. Moving into the 1960s, stones became larger in size, even more colorful, and set in many versions of mixed metal designs. Styles of the 1920s that were very geometric and used crystals were reinterpreted on a grander scale. 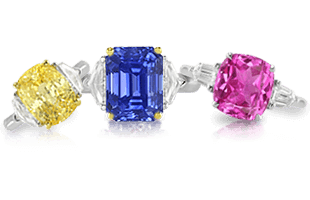 cabochons of all types of stones were intermixed with cut stones, especially diamonds, for a vivid impact. Jewelry sets that carried a motif through a necklace, bracelet brooch, and pair of earrings were popular once again as well. 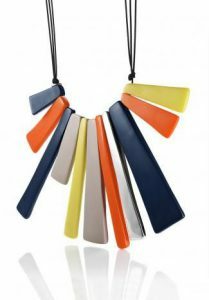 A modern molded plastic necklace. Modern jewelry encapsulates an era of the 1970s to 1990s where the mantra was “more is more.” The scale became huge as Pop Art and Bohemian fashions ruled the trends. The concept of creating wearable art took on many new forms and plastic entered the field and changed the rules entirely. A colorful modern resin bracelet. 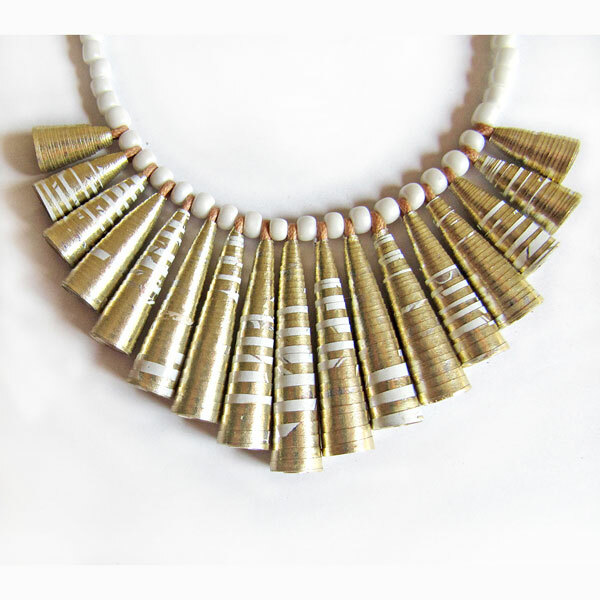 The development of advancements in technology meant that pearls could be harvested easier, and improved quality in artificial stones meant that all segments of the population could afford to implement multiple pieces of jewelry into their wardrobe. 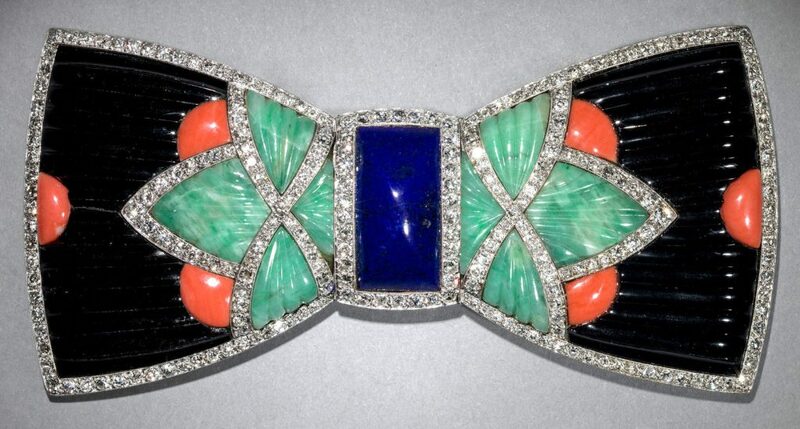 The costume jewelry that arrived in the Art Deco period now re-emerged even stronger as plastics made possible every shape, size, and color. A rolled and beaded paper necklace. The interest in craft and cross-cultural influences reached peak development in the 1970s and 1980s. It was during these decades that the U.S. government first began to sponsor and fund special grants to individuals to study and attend workshops, conferences, and exhibitions in a cross-cultural exchange of ideas and experiences. 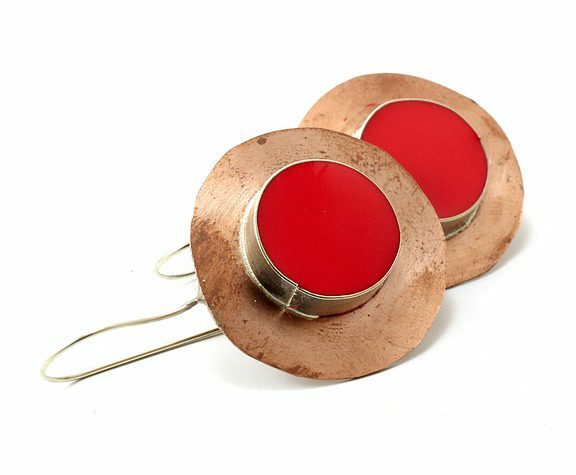 A modern pair of hammered copper and resin earrings. Conceptual artists began designing pieces specifically intended for museum viewing and inspiring critical thought instead of actual wearing, while on the end of the spectrum, mass production techniques and the ease of working with plastic created a fun and whimsy in fashion that had never been seen before. 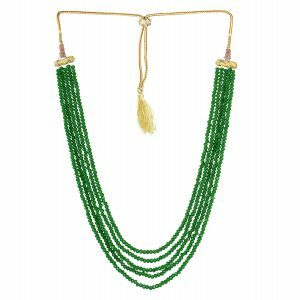 A multi-strand beaded Indian necklace. 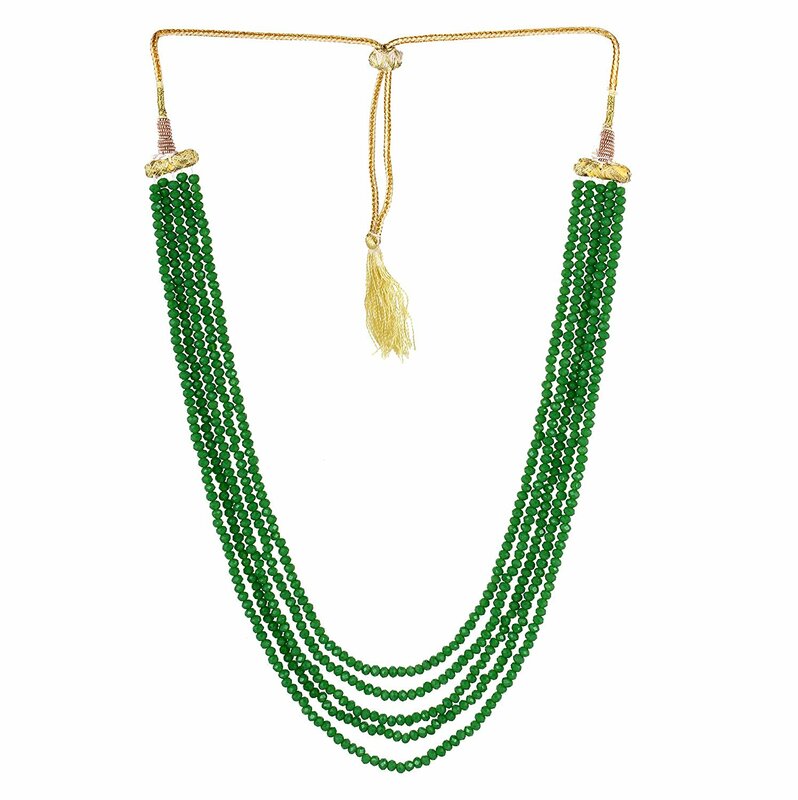 As trends and culture continue to be interconnected, the shift toward recognizing global communities as driving and shaping our tastes will build upon the eclectic amount of choice in jewelry for the foreseeable future. Artisans the world over, as well as the largest fashion houses and manufacturers now face global markets with endless options. To help illustrate and further explain common terms used throughout this section, we will next explore the Jewelry Glossary | Definitions of Settings Terminology.